This page shows the latest Remsima news and features for those working in and with pharma, biotech and healthcare. 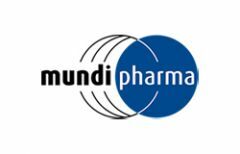 Truxima is not the first biosimilar Mundipharma has licensed for EU marketing, having launched Remsima, a biosimilar version of Janssen's blockbuster arthritis treatment Remicade (infliximab), in 2015. RWE data presented at ECCO this year showed that switching to the biosimilar Remsima (infliximab) from the originator had no negative effect on safety and efficacy in 10 real-world studies. products in development (see chart overleaf), with Remsima/Inflectra the only biosimilar mentioned specifically by name. .